1 Plan early – The stress of organising a kids party is often caused when parents leave organising their little one’s birthday to the last minute. So we’d strongly advise you plan at least 6-8 weeks in advance. 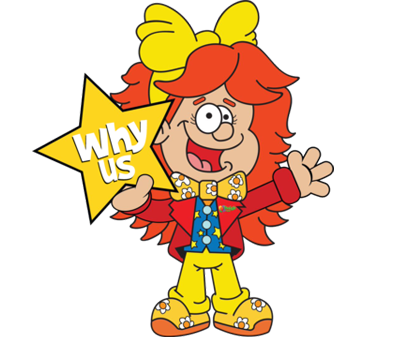 This may sound like a lot but halls, venues and children’s entertainers get booked up very quickly so to ensure you can get availability, book in advance. 2 Hire a venue – You can always have a party at home but if you’re at all worried about damaging the family rug or leather upholstery then we’d advise having a party in a hired venue. Church halls don’t usually cost all that much (you can get ideas for places available using our free Froggle venue finder) and there’s loads of space for kids to run around in. When booking a venue, make sure you allow time for setting up before the party and packing away afterwards though. It’s usually good to allow about 45 mins to an hour either side if you’re wanting to put up decorations and set up the table for food without incurring unnecessary stress. 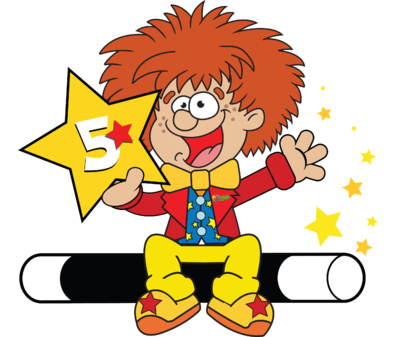 3 Kids entertainer – If you are planning on getting a children’s entertainer then you should book this early as the good ones will get booked up very quickly. We have a huge range of different children’s entertainers and kids party packages to choose from but if you don’t use us then do make sure that whoever you book is DBS checked (used to be called CRB), has public liability and has good reviews. Check out the reviews on the internet on impartial review sites or get referrals from someone you know. 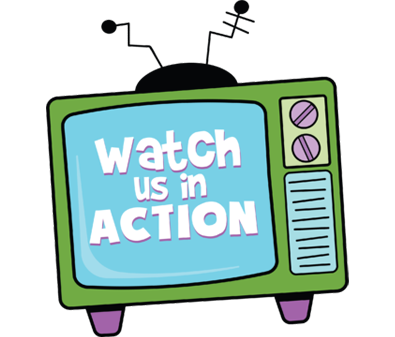 It can always be a good idea to use a children’s entertainment company rather than an individual entertainer as if the person you hire falls sick on the day, a company often has a backup in place should it be needed. You should check that they have this before booking. 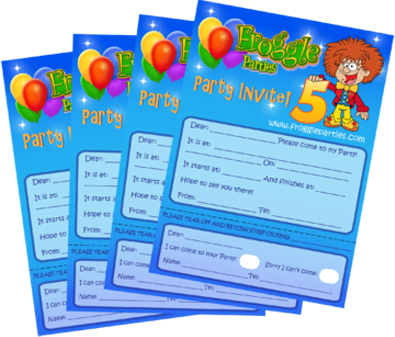 4 Get the invites out early – Once you know you have a firm date and time and the children’s entertainer and venue are booked, get your party invites out at least 4-6 weeks before the party. This sounds like it’s too far in advance but it really isn’t. We’ve heard so many parents tell us they had to change the date and reschedule the hall and entertainer because someone else turned out to be having a party on the same day. If you get them out early you minimise the risk of having to reschedule your entire kid’s birthday party. Don’t expect RSVPs straight away but you should aim to follow them up about a week or 2 before the party. 5 Food – Next plan what you’re going to do for the food. You can be as creative or as simple as you like. There heaps of great ideas out there if you’re looking to really go to town. Whatever you go for though it’s good to make sure you have a balance between the junk food and the healthy food. If you decide to go for something traditional and straight forward then finger food is the best bet. E.g. cherry tomatoes, carrot sticks, cucumber sticks, cheese and pineapple cubes, etc… Plus crisps, cup cakes, sandwiches and juice boxes. 6 Decorations – Again these can be as simple or complicated as you like. The best places to get loads of ideas and inspiration are online party shops as they have the most choice. They are also usually cheaper than buying them in the high street shops. 7 Birthday cake – Whether you make your own or get one from the supermarket is up to you. But it can always be great fun to make your child’s own birthday cake. If you’re having a 2 hour party (which is the norm) then the best time to do birthday cake and have your child blow out the candles is in the middle of the party, at the end of tea time. It’s good to split the party up as follows: 45 mins entertainment, then 30 mins for tea, then another 45 mins of entertainment. By doing the birthday cake at the end of the break, that gives you time in the second half of the party to cut up the cake and put it into party bags. 8 Party Bags – We don’t think these are essential but it is unusual not to give the kids something. So you could either do party bags or simply give the kids a piece of cake and a small party toy to take home if you prefer. We do our own party bags if you want us to do them for you. If you are doing party bags yourself though, then there are party shops that can do these for you or you can go to a pound store or Wilkinson to buy kids party toys to make them up yourself. We can offer party bags for you at a better price than if you were to do them yourself though as we buy the toys in bulk and can pass on the ease and savings to you. 9 The day of your children’s party – On the day of the party, when you get to your venue, you just need to get the decorations set up. Perhaps ask a friend to come with you to help you, to minimise stress. Then set up the tables for the food. Make sure there is a spare table for the children’s entertainer as they will usually need one. The entertainer should really do the rest so you can relax for a bit. As the entertainer is doing the entertaining you can set up the food on the table for the kids. After the kids have eaten then you can use the second half of the party to clear up if you like, to help you get out of the hall on time. 10 Enjoy it – The times we’ve heard parents saying how they wish they’d been able to see the kids enjoy the party or take photos and not being able to because they were stressing in the kitchen. It seems like such a shame to go to all the effort of planning the party and then not be able to see how much your child enjoys it. So we’d strongly recommend you get as many friends to help you with the food and decorations so you can have a chance to see you son or daughter having fun.